As I did with Champagne Kisses, I did start to get chips on day 3. Dense glitters like this always chip pretty easily on me. Nevertheless, this is GORGEOUS! It is absolutely amazing in the sun. The above pic is two coats. It's very a very hungry glitter, so I did two coats of Gelous before my QDTC and that helped smooth it out. 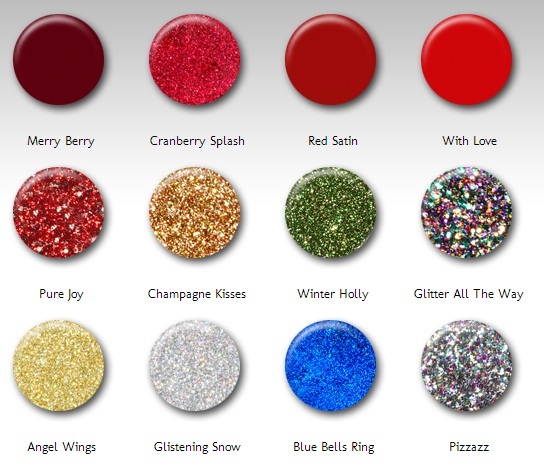 I've still got Glitter All The Way and Pizzazz to swatch, so stop back by soon to see them. Should I try them on their own or as a topper over something else? This shade is so pretty! 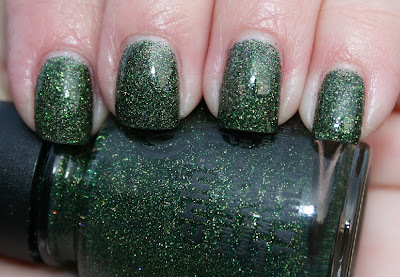 I don't know weather to wear this or Blue Bells Ring as my next mani. This color's really pretty! I wore Glitter All The Way by itself and Pizzazz as a topper. NOTD: OPI Gift Cards for Everyone!